Karen Mueller is one of the country's top dulcimer and autoharp players, classically trained, steeped in Appalachian, Celtic and folk music. But this weekend, the Minneapolis musician tries something new: performing a rarely heard classical work with a chamber group. Mueller was raised in a rural Kansas home by parents who loved all kinds of music. She studied guitar and classical piano, and she was also encouraged to perform music she liked. "One year I did the theme from "Shaft" or the theme from "Tommy," you know, just kind of bangin' away, so I got a love of music that way," she said recently between teaching sessions. But she had a harmonic convergence as a teenager. Her home town of Winfield, Kansas, became the site of the Walnut Valley Festival, which would grow to become one of the country's premier gatherings for fiddling and finger picking enthusiasts. Mueller remembers she was 16 years old when she wandered down to the festival campground with her guitar and strummed along at a jam session. "Some of the people who were leading the jam said, 'Hey you're doing all right, why don't you come in and join us.' And that was it," she said. "That was so special, because you were in this wonderful circle of music." Mueller, now 50 years old, says she'd found her tribe, and not long after that she was introduced to the autoharp -- an instrument not universally admired among more serious musicians. "You could just push a button and strum a chord and anybody could do it and the people that I heard playing frankly didn't have much musicality so I didn't take it very seriously at first," she said. But then she heard autoharp virtuoso Bryan Bowers perform and Mueller was inspired to embrace the 37-string music machine with renewed enthusiasm. A University of Kansas graduate with degrees in English and art history, she led a double life as a young adult to pay the bills. She was a high-end jewelry maker and goldsmith by day. And then at night she led two folk music groups. Eventually, Mueller says, the pay for performing music began to match her wages from the jewelry job and that tipped the balance. She devoted her waking hours to her life as a musician and hasn't looked back. Family connections brought her to Minnesota in 1989. Mueller's been recognized for her three decades of devotion to music by being named a recipient of the coveted McKnight Foundation artists grant. 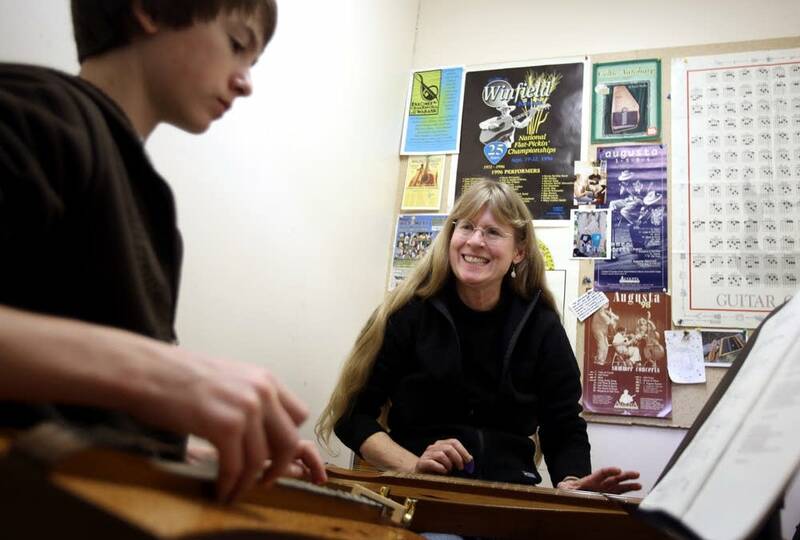 She teaches 50 students locally, "Anywhere from a 6-year-old on the ukulele up through an octogenarian on the autoharp" at the West Bank School of Music and Richfield's Homestead Pickin' Parlor. And in April, Mueller and a handful of other old-time music artists jet off to Great Britain, where they've been hired to teach advanced students at the aptly named Sore Fingers gathering. Classical music was a natural progression. Along with members of the Lirica Chamber Ensemble, she'll perform the Blackberry Winter concerto, composed by classical violinist Conni Ellisor for the Nashville Chamber Orchestra. Shades of the Appalachian folk tune "Blackberry Blossom" are heard in the first of the piece's three movements. And Mueller describes some of the melodies and harmonies as reminiscent of Aaron Copeland's work. 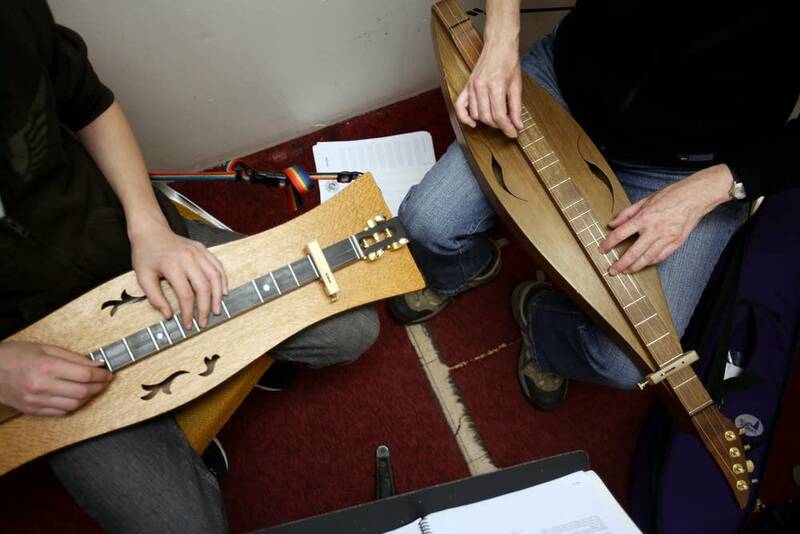 The piece doesn't surface often in public performance in part because the dulcimer soloist needs to read music -- not always a skill of people who are self taught and play music by ear. 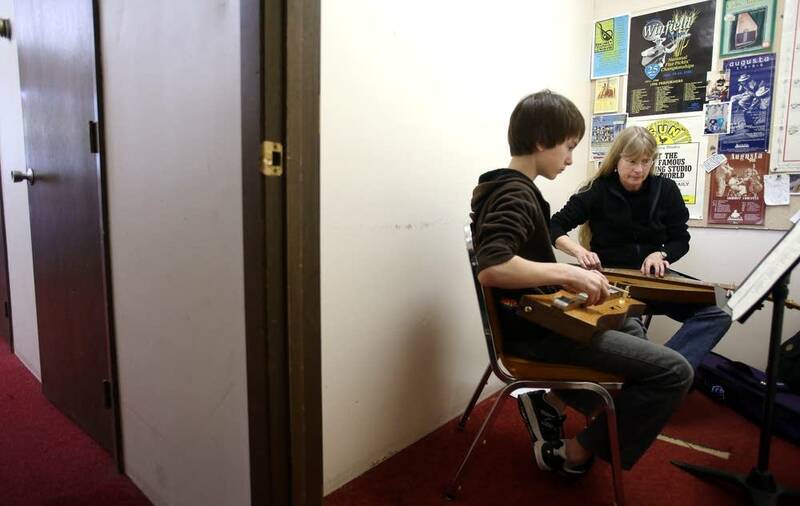 "It's the first work of its kind to my knowledge that elevates the dulcimer, which is usually considered a folk instrument, usually looked down upon in the classical realm, and it elevates it to the role of a soloist with the orchestra which is just wonderful," Mueller said. The free Sunday afternoon performance is in Minneapolis at Grace University Lutheran Church.